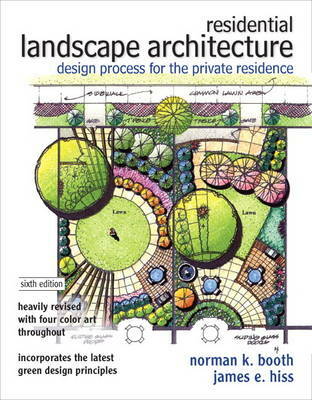 Residential Landscape Architecture: Design Process for the Private Residence, Sixth Edition, covers the fundamentals of residential design. The text provides a thorough, how-to explanation of each of the steps of the design process-from initial contact with the client to a completed master plan. The text's numerous illustrations and useful case study examples offer a rich learning experience for students. Whether you are just starting your design career or are a current practitioner, this valuable resource is sure to enhance your skills and knowledge.